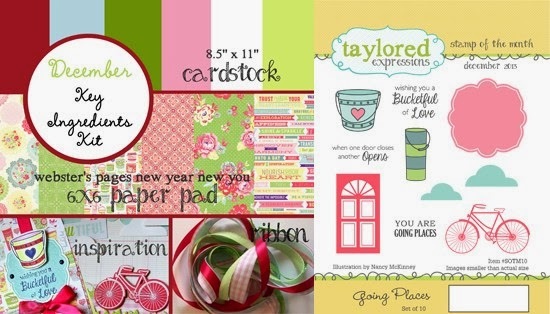 Taylored Expressions December Stamp of the Month Blog Hop! There are also some coordinating dies that you can get to go with the Going Places stamp set called Enjoy the Journey Dies. 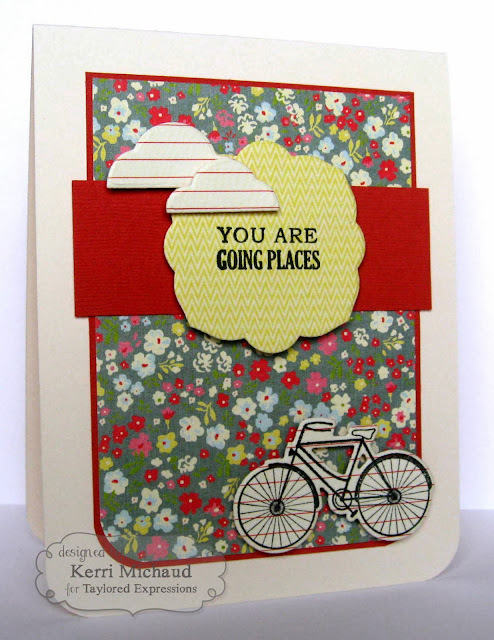 I used these dies to cut out my sentiment panel, the bike, and the clouds. Such a quick and easy CAS card! The layout I used is the Deconstructed Sketch #129. Here is the list of players today. 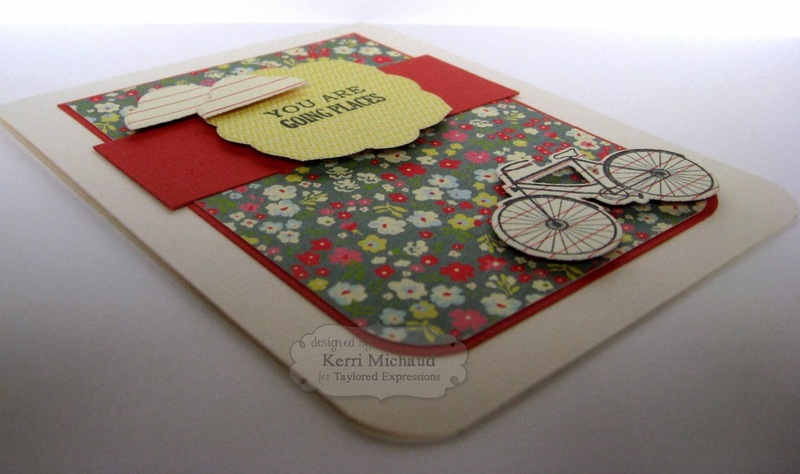 Make sure you check them out for more inspiration using the awesome kits this month! What a sweet card Kerri. Love the papers you used. Very pretty.